Aluminum sheet 6061-t6 has high strength and high hardness (up to above 90 degrees), it has good flatness, good processing effect and good oxidation effect. Advanced process technology improve processing efficiency and reduce material costs, and makes the 6061 t6 aluminum sheet be the best choice for low price, high quality materials. The 6061-t6 aluminum is made of aluminum, magnesium and silicon alloy series, it is a heat-treated corrosion-resistant alloy with good strength and corrosion resistance and good uniformity. 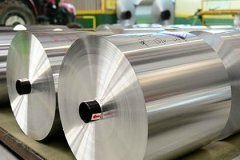 The T6 and T651 are the common seen tempers of 6061 aluminum sheet, and T6 is the most used temper of the aluminum sheet 6061. The medium-thick aluminum plate 6061 is quenched by the medium-thick plate, after the solution heat treatment, it does not need to be cold-worked, and can be straightened and leveled without affecting the mechanical properties. The medium thick aluminum plate 6061 T6 temper is quenched by medium plate - medium plate slicing - stretching machine - aging treatment - sawing - polishing - packaging. Aluminum sheet 6061-t6 has excellent processing properties, excellent welding characteristics and electroplating properties, good corrosion resistance, high toughness and no deformation after processing, compact and defect-free materials, easy polishing, easy filming and excellent oxidation.